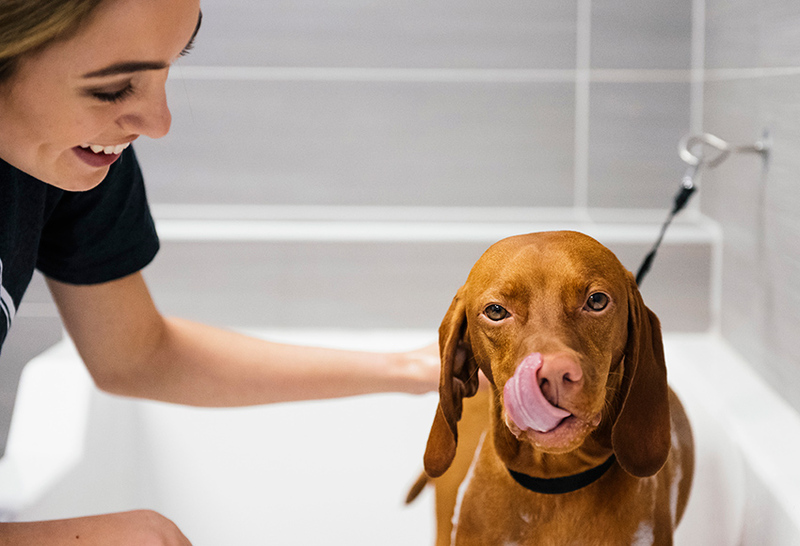 Looking for a safe, clean and fun place to leave your dog while you’re running errands or at work? 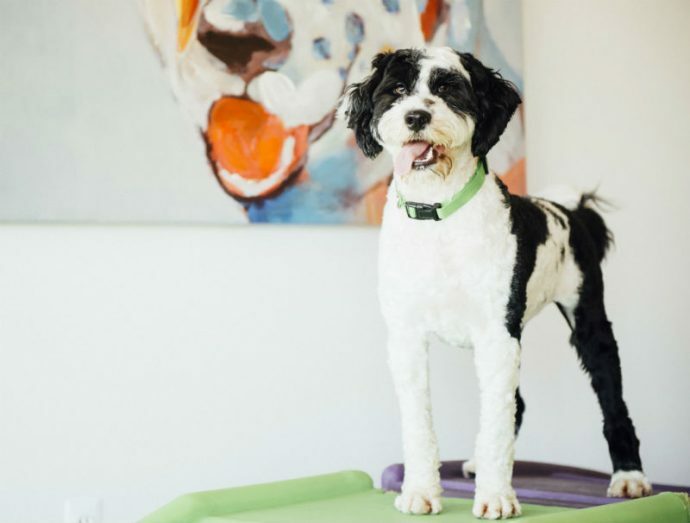 Dogtopia of Fredericksburg offers a variety of daycare options to suit your needs, including half- and full-day daycare packages for dogs. Our facility boasts three spacious playrooms: the 450 square foot Toy Box, the 850 square foot Romper Room the 950 square foot Gym and 1,200 square foot outdoor play area. 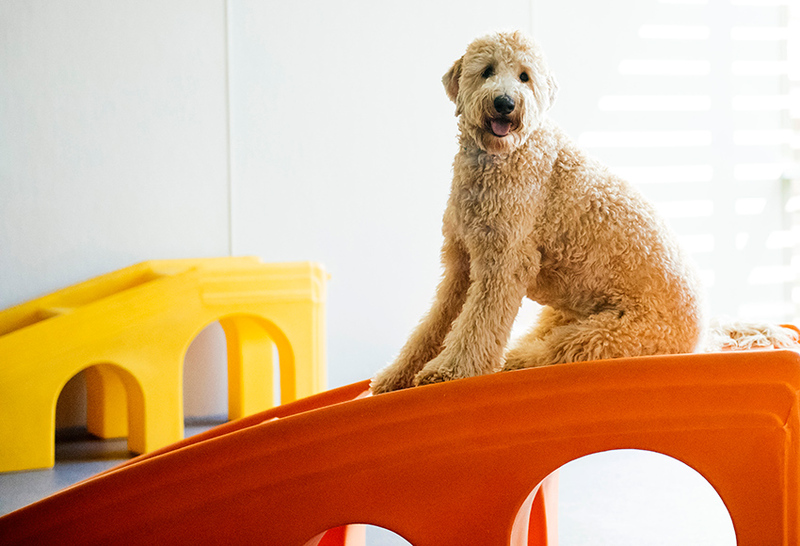 To maximize safety and fun, our playrooms are organized according to dog size, temperament and style of play. Our playrooms come equipped with non-slip rubberized flooring. Dogtopia specifically chose this material since it is designed to provide plenty of traction, as well as better cushioning for the dogs’ joints. It is also anti-bacterial and very easy to clean. We keep our facilities fully climate-controlled and our filtration system reduces the risk of airborne pathogens. Our outdoor play area has an 8 foot secure fence and artificial turf that is made specifically for dogs. Your dog’s safety is our number one priority. Each of our playrooms is supervised by our highly trained attendants. Our dog care professionals are experts in all aspects of dog behavior and can recognize even the most subtle body language in dogs. Ensure your dog is having a great time with us by checking in on them throughout the day using our webcams. All you need is a device that is connected to the internet! Your dog will enjoy up to 10 hours of play and healthy exercise each day. We are next to Anytime Fitness, giving you the ideal place to drop your dog off if you’re looking to hit the gym. We are also close to Central Park shopping center and Spotsylvania Towne Center Mall if you want to do some shopping. 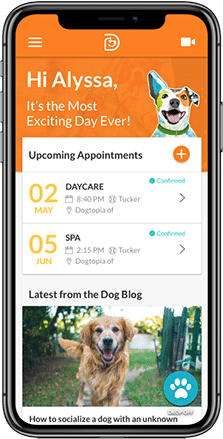 What Makes Dogtopia’s Daycare Different? 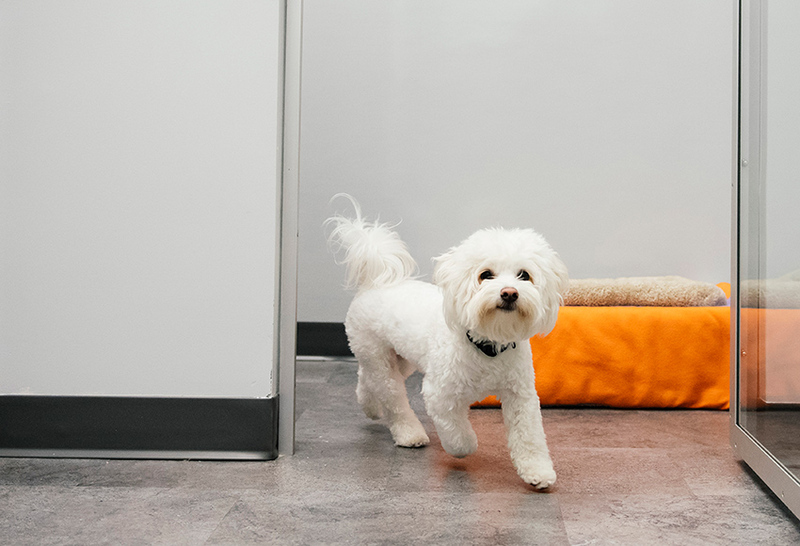 We modelled our daycare after daycare for children; it’s a safe and fun environment where your dog will learn valuable socialization skills, get plenty of healthy exercise and receive lots of love and attention from our team and the other dogs. The only time your dog will be crated is during nap time. We provide comfortable, home-style crates for them. 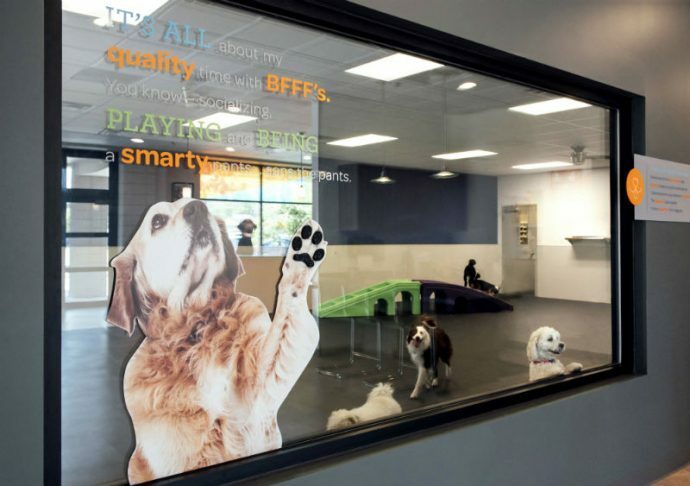 The rest of the day, your pup will enjoy full freedom in our playroom with their new furry friends. All happy, social dogs who meet our criteria are welcome to join us for daycare, regardless of breed. We are conveniently located close to the intersection of Salem Church Rd and Plank Road (Route 3). Our facility is right next to Anytime Fitness in Chancellor Commons Center off Kennedy Lane. There is plenty of parking available at our location.